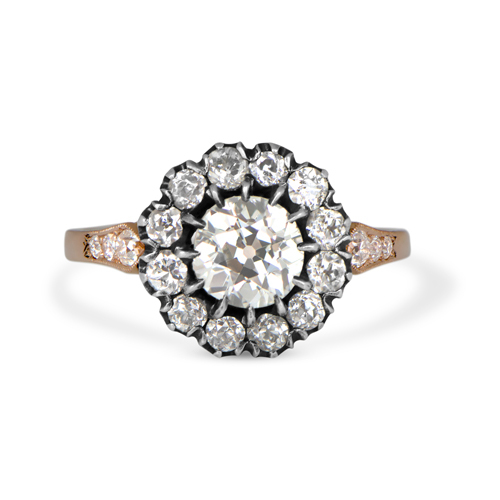 A stunning vintage engagement ring, fashioned after the cluster motif rings made during the Victorian Era and adorned in the center with an old European cut diamond. 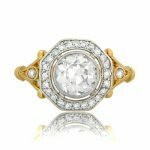 The lively center diamond is set in a beautiful silver and gold mounting and surrounded by a 0.90-carat halo of old mine cut diamonds. 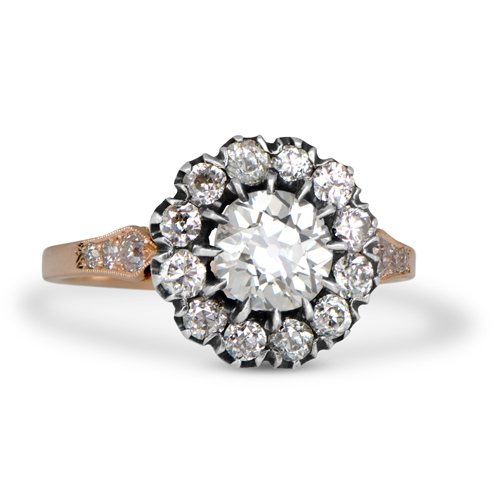 The center old European cut diamond was cut circa 1900 and is approximately 0.98ct, I color, and VS1 clarity (Approx 6.6mmx 6.6mm). 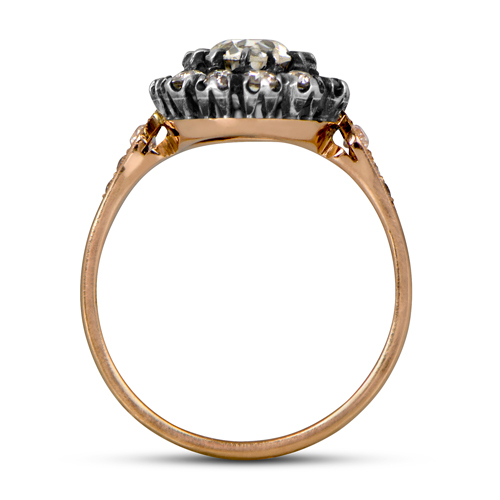 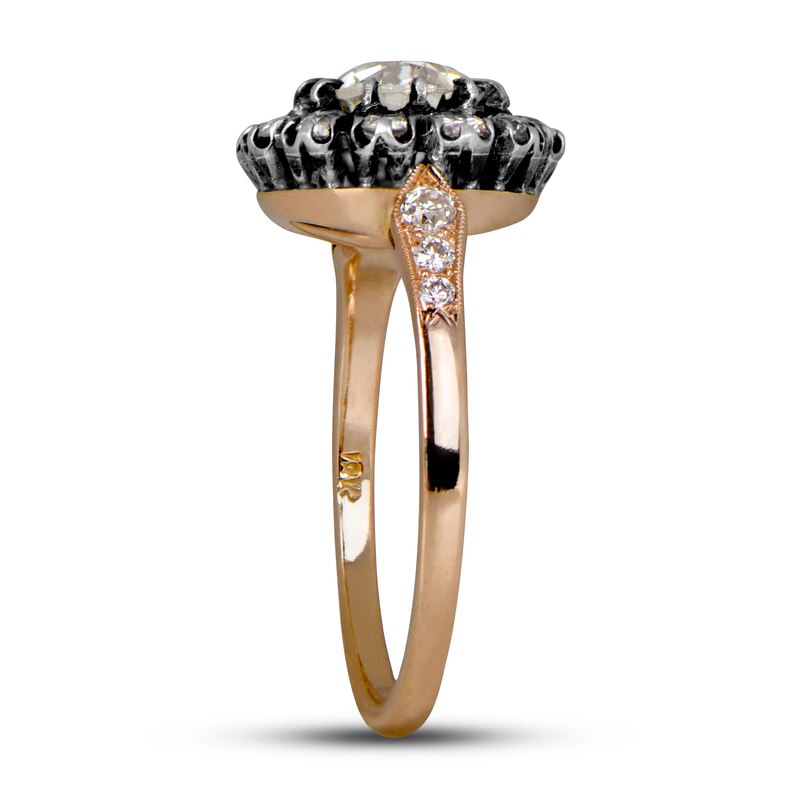 Approximate total carat weight is 1.88-carats. 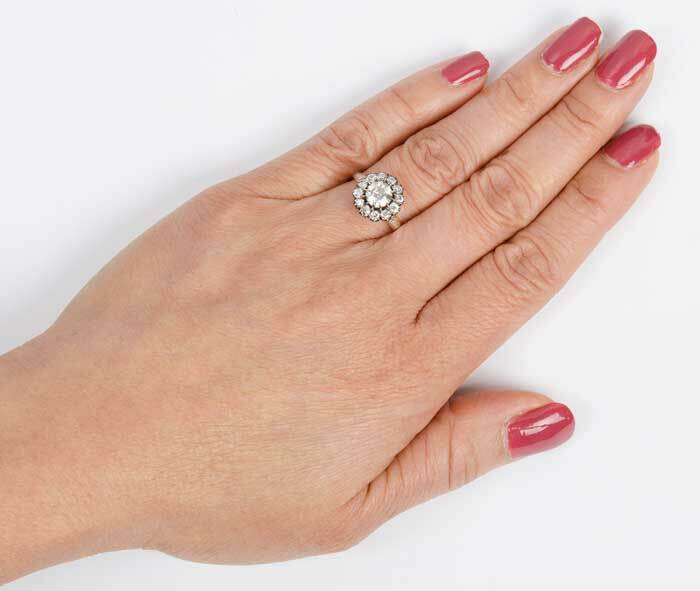 The top of the ring covers 11.9mm x 12.1mm of the finger. 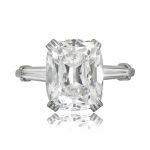 SKU: 11300 Categories: Old European Engagement Rings, Vintage Engagement Rings - Contact us and request additional pictures.